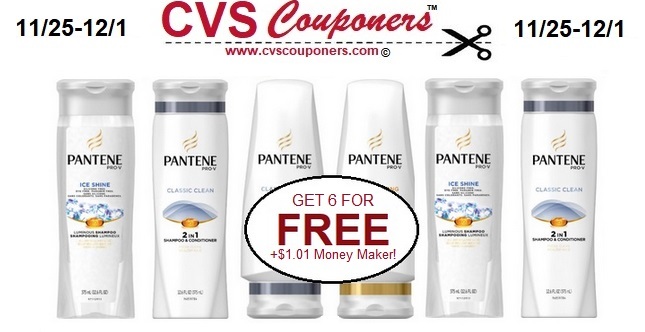 Score 6 FREE Pantene Shampoo or Conditioners AND 2 Crest Toothpaste + $1.01 Money Maker this week at CVS 11/25-12/1. We Got a Super HOT CVS Cash Card Deal for you 11/25-12/1. This week at CVS Pantene Hair care is on sale 3/$12.00, and crest toothpaste is on sale for $2.99, plus they are included in the Cash Card promotion. Use manufacturer coupons and CVS coupons to score them all for FREE + $1.01 Money Maker this week at CVS 11/25-12/1. Total=FREE + $1.01 MONEY MAKER! !